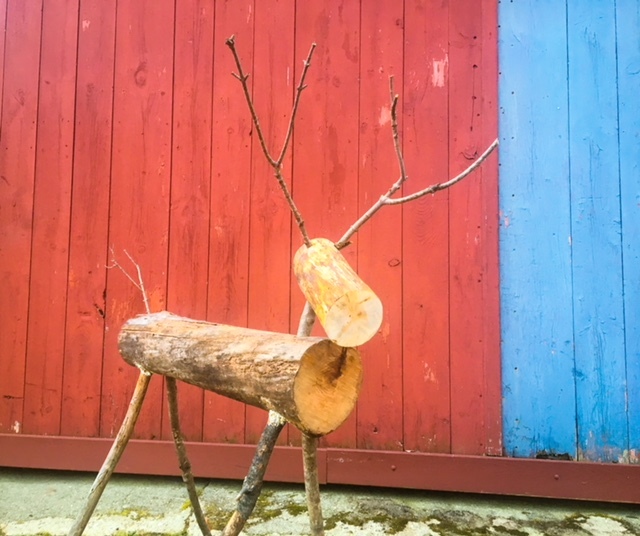 Last summer, my friend Sarah challenged me to make a reindeer from logs. I was not sure I could do it. More recently, my father suggested the same. I’ve had some success working with my hands this year and decided to see if I could make one. I made this from some timber that fell a while back, as opposed to fresh timber. It was what I had and made sense for a first try. I doubt it will last beyond this season, but now I know how to make them for the next time we have freshly cut trees. This entry was posted in Uncategorized on November 26, 2017 by milfordstreet. The campus of Harvard University is absolutely sprawling across a large section of Cambridge. The Harvard School of Business actually spills out of Cambridge, across the river, and into Boston. 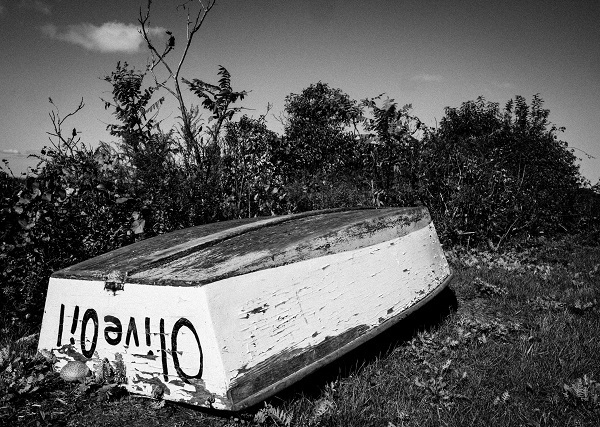 A friend and I wandered around here this past summer. Enjoy. This entry was posted in Uncategorized on November 25, 2017 by milfordstreet. 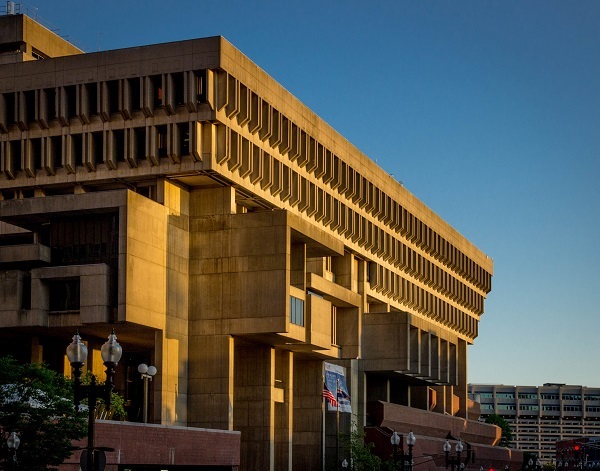 Boston City Hall is not the prettiest building. Being “blocky” and all concrete, it takes some hits by architectural critics. But….it looks rather nice with the light from the rising sun on it. This entry was posted in Uncategorized on November 24, 2017 by milfordstreet. Happy Thanksgiving to all my friends around the world. Please note: This is supposed to be a pilgrim and a turkey. This entry was posted in Uncategorized on November 23, 2017 by milfordstreet. 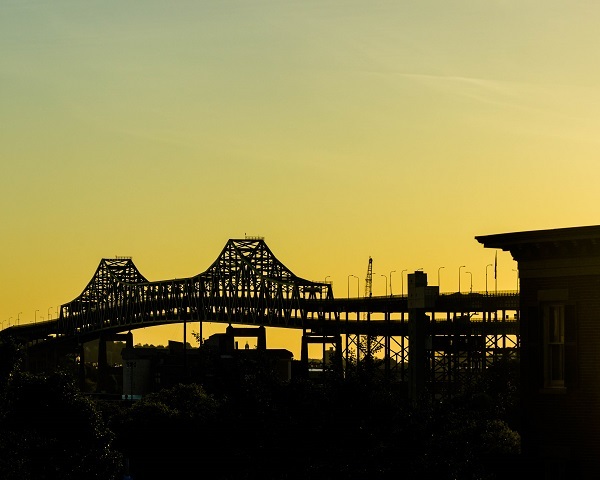 The morning that I was taking photos on Bunker Hill, I noticed that I could see this bridge between the buildings. I switched to a long lens to make this image. This entry was posted in Uncategorized on November 19, 2017 by milfordstreet. The Harvard Coop (pronounced like a chicken coop, not “co-op”) is the bookstore for Harvard University and something of an institution in its own right. A friend and I visited this past summer and made some images. The last image is of Harvard Square from a second-floor window. This entry was posted in Uncategorized on November 18, 2017 by milfordstreet.